Brian Hennigan is Managing Partner at Hueston Hennigan LLP. For the past 20 years, Mr. Hennigan has specialized in complex litigation with an emphasis on white collar criminal defense. Over that time period, he has successfully represented individuals and corporations facing a wide array of challenges presented by federal prosecutors and investigating agencies. More recent representations have included the successful representations of individuals facing allegations under the Foreign Corrupt Practices Act, the Securities and Exchange Commission Act, the Internal Revenue Code, and the Sherman Act. In addition to corporate representations, Mr. Hennigan has represented several professional athletes, leaders of various religious denominations, doctors, lawyers, accountants, and business executives in federal criminal matters. He is a Fellow in the American College of Trial Lawyers. His skills at representing individuals in white collar investigations have garnered praise from numerous sources. Chambers USA has ranked Mr. Hennigan in Band One every year since 2008 in the White Collar Crime & Government Investigations category and lauded him as a “creative thinker and problem solver” and as a “terrific attorney because of his great ability to communicate with judges and juries.” Mr. Hennigan has the highest Martindale-Hubbell rating, a peer review rank of AV-Preeminent. 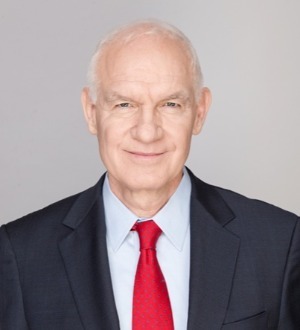 He has consistently been recognized as one of the top white collar criminal defense lawyers by a variety of sources and was named the Los Angeles “Lawyer of the Year” in White Collar Criminal Defense by The Best Lawyers in America.